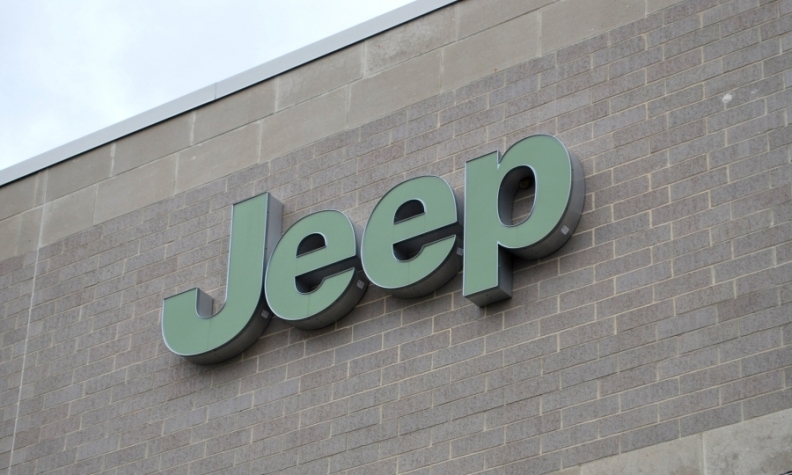 GENEVA (Bloomberg) -- Jeep will increase its dealerships in China by about a third this year and will start local production of its Cherokee SUV in November followed by the smaller Renegade model in 2016, CEO Mike Manley said. Plans by the Fiat Chrysler Automobiles NV unit to expand outside North America with production in Asia, Europe and South America are crucial to increase sales to 1.9 million cars in 2018 from a record of more than 1 million last year. "Getting the launch of China right is very, very important as it is one of the major cornerstones to get to the 1.9 million target," Manley, 50, said in an interview at the Geneva auto show. Jeep's global sales have soared more than fourfold since 2009, buoyed by well-received new products and demand for SUVs. The expansion of the brand and Italian sports-car unit Alfa Romeo is central to Fiat Chrysler CEO Sergio Marchionne's strategy to increase group sales to 7 million cars in 2018 from about 4.6 million last year. "Jeep is iconic and not just in North America," said Jeff Schuster, an analyst with LMC Automotive. "The brand has had aspirations to grow internationally and sees doing so as an important element for the entire FCA group's success." LMC estimates that Jeep will have more than 30 percent of its production outside North America by 2018, compared with about 2 percent last year. "We are on track in China, everything we monitored in terms of the Cherokee pre-production looks good," said Manley, who is also COO for Fiat Chrysler in Asia. Jeep plans to increase its dealerships in China from about 160 to nearly 220 this year and then add more, Manley said. The American carmaker is also expanding in Brazil where it will start producing the Renegade next month, Manley said. Jeep is more than tripling its dealerships in the country to about 90 for when Renegade sales start there, and Manley said he "would love" to have 120 at the end of the year. Jeep also will enter the Indian market, with the Wrangler SUV going on sale by the end of the year, followed by the Grand Cherokee at the start of 2016. The small SUV Renegade is currently only built in Italy and will be delivered to dealers in the U.S. from a plant in Melfi starting this month, Manley said. Fiat Chrysler will ship about 3,000 Renegades a week to the U.S., Marchionne said.